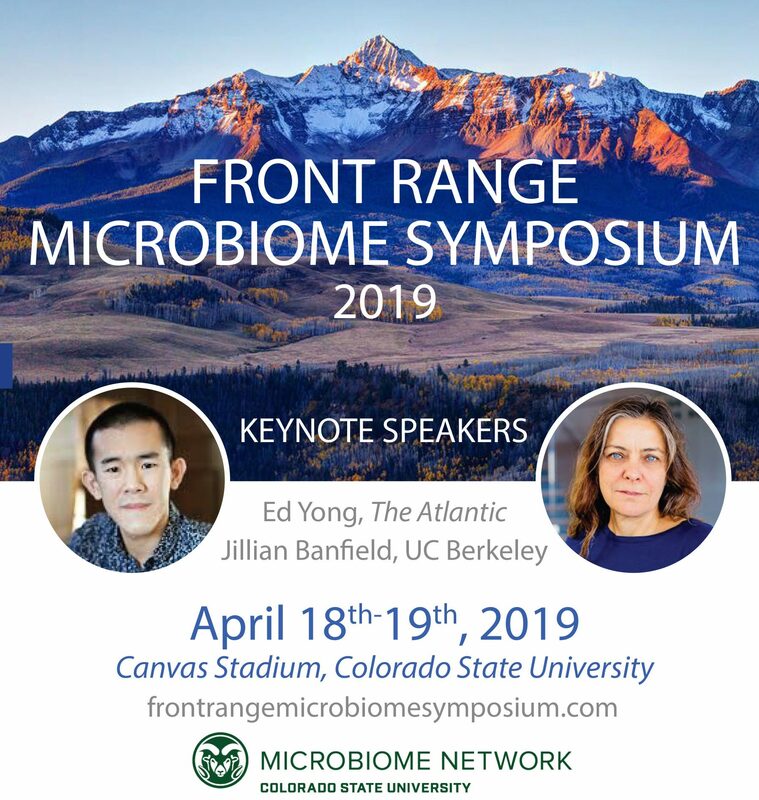 Join us for the Front Range Microbiome Symposium 2019 at CSU! The CSU Microbiome Initiative and Graduate Researchers Across Microbiomes (GRAM) is launching the 1st annual Front Range Microbiome Symposium. Please join us to kick off the event April 18th with a mixer, and stay through April 19th for two excellent keynote speakers, Jill Banfield and Ed Yong, as well as presentations and posters by faculty and early career scientists from universities, organizations, and industries across our region.